Ξ Scottish singer and harpist from BBC 2 Folk Award nominated band The Shee and The Emily Portman Trio. Features guest musicians Kris Drever and Mattie Foulds. 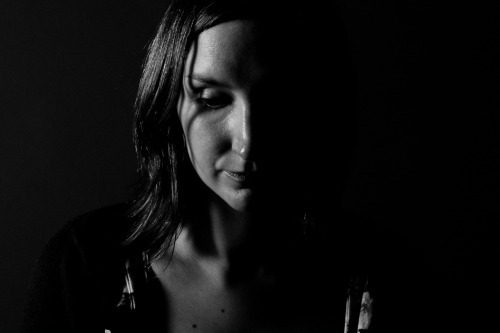 Ξ Rachel Newton, singer and harpist with BBC 2 Folk Award nominated The Shee and The Emily Portman Trio, has produced her debut solo album, ‘The Shadow Side’ on Shee Records. The album is comprised of mainly traditional songs in both English and Gaelic and also of Rachel’s own instrumental compositions. Ξ ‘The Shadow Side’ showcases both the acoustic and the electric harp and Rachel’s unique way of using them both to accompany songs and work together in an instrumental setting on her compositions. Rachel plays fiddle and harmonium to add to the song accompaniment and the album also features guest musicians Kris Drever on vocals, guitar and mandolin (including a duet performance of the trad song ‘Green Willow’) and Mattie Foulds on percussion. Ξ Rachel Newton — The Shadow Side: This the debut solo CD from talented harpist and singer Rachel Newton who is also a founder member of the band ‘The Shee’. The album is comprised of mainly traditional songs in both English and Gaelic and also of Rachel’s own instrumental compositions.‘The Shadow Side’ showcases both the acoustic and the electric harps and Rachel’s unique way of using them both to accompany songs and work together in an instrumental setting on her compositions. Rachel plays fiddle and harmonium to add to the song accompaniment and the album also features guest musicians Kris Drever on vocals, guitar and mandolin (including a duet performance of the trad song ‘Green Willow’) and Mattie Foulds on percussion. - New album, ‘Murmurations’ out October 2012. 6~piece band of friends from across the U.K with a wide mix of influences brought together to create challenging (for me anyway!) and exciting new music. - Emily Portman, Lucy Farrell and myself. Also, on special occasions joined by the likes of Lucy Deakin, Alasdair Roberts and Jonny Kearney. Mostly performing Emily’s own songs with lots of vocal harmonies. New album ‘Hatchling’ out summer 2012. — Laura~Beth (singer and mandolin with The Shee) and myself decided it would be nice to do some gigs with our new solo material as a double bill. We’ll play a few numbers together and accompany each other as well. Ξ I love creating and performing music for theatre, film and any avenue other than the usual gig/concert setting. I’ve worked on a few productions so far, including two for the Rowantree Theatre Company and looking forward to a new project with them in 2013. Ξ You can hear me singing on the soundtrack for the Raindance Award winning film ‘The Inheritance’. Ξ Rachel Newton sings and plays harp with The Shee and The Emily Portman Trio. How she ever found time to write, record and even produce her solo debut we may never know, but we should be very glad she did. The Shadow Side is an album of traditional English and Gaelic song, with instrumental pieces composed by Rachel. Staunch support is provided by Kris Drever on vocals, guitar and mandolin, and Mattie Foulds on percussion. Ξ In the opening ballad, Lady Diamond, harp and percussion provide a sparse background that supports Rachel’s wistful vocal style perfectly. Ξ Kris Drever’s contributions to the album are many and varied, but never more clearly identifiable than in Green Willow. In harmony, Rachel and Kris’s voices are beautifully matched, both having that remarkable melancholic air that suits the darkness of traditional ballads so well. Rachel’s arrangement for Must I Be Bound somewhat turns the tables on the song’s dramatic story, with the theatre provided more by the tense, striking harp and fiddle combination. Ξ Traditional Gaelic airs are in for something of an awakening too. ‘S Toigh Leam Cruinneag Dhonn Nam Bo is gritty and immediately reminiscent of Martyn Bennett’s Glen Lyon song cycle. In an uncompromisingly modern approach, contrasted by a more traditional vocal, harp and electro~harp provide bass and rhythm along with acoustic guitar. Am Bruadar Ud a Chunnaic Mi closes the album with an exquisite vocal performance backed by a minimalist harmonium. Ξ Despite her appealing style and undeniable ability, Rachel’s vocal skill has to play second fiddle (she plays that too) to her prowess on harp and electro~harp. Rung 2 is the first of the instrumental tracks on the album. It opens as a light solo dance before embarking on a more dramatic phase with percussion and guitar before Kris Drever’s guitar ambles pleasantly around the harp’s skipping melody. The Discobeat is far from anything Disco with its eerie, sinister sounding harp strings. The title, however, soon makes sense as the tune develops and the bassy harp is joined by locomotive percussion. Ξ The Last Minute / The Groupie / Height Of Rudeness — The only official ‘set’ on the CD comprises a trio of tunes with solo harp again being joined by guitar as the pace builds. This set puts a very affirmative stamp on Rachel’s virtuosity. The Shadow Side exemplifies a more gentle aspect of Rachel’s compositions while Soundboards And Sockets is an enthralling exploration of the art of combining harp, electro~harp and percussion. With irresistible beats and cadences of sound, both acoustic and electronic, this track delights beyond words. Ξ In fact, the whole album delights beyond words. There’s something for everyone in here — innovative harp/electro~harp loops and experiments; the darkest of traditional ballads; soothing Gaelic song and enchanting vocal performances. With The Shadow Side, Rachel Newton has accomplished something quite remarkable and released an album that heralds the emergence of an exceptional talent. Ξ To say this album is understated, would be no overstatement. Shot through with an arresting delicacy that simply wills you to listen, it possesses a naked simplicity that radiates beauty. Whether it be singing, or playing the harp or fiddle, Rachel performs with an effortless allure that speaks to your innermost senses. Meticulously recorded by Mattie Foulds, The Shadow Side captures an intimacy that is nurtured by the sparing arrangements. With the crisp lucidity of Rachel’s playing and singing always to the fore, the restrained accompaniment of occasional guitar and percussion serves to accentuate a tenderness that boasts warmth and sincerity. Ξ “Green Willow” will be one of the most truly beautiful songs you will hear all year, taming the assured vocals of Kris Drever to deliver a duet of unrelenting intensity and charm; it’s a performance that would surely melt even the hardest of hearts. Rachel pulls off a similar feat on Hank Williams‘ “I’m So Lonesome I Could Cry,” imbuing it with a fragility that is almost harrowing. Ξ The apprehensive eeriness of the sparse opening melody to “The Discoboat,” plucked slowly but determinedly on the harp, makes for an unsettling minute with sinister undertones, before giving way to a more animated melody where the sense of foreboding gives way to a sense of adventure. The title track lives up to its shadowy title; a gorgeous lament filled with longing, played with the utmost restraint and sensitivity. Ξ There are buoyant offerings too, springing forth from Rachel’s harp with boundless energy and abandon, yet retaining the potency of the more reflective moments. The trio of tunes “The Last Minute / The Groupie / Height Of Rudeness” gathers momentum as it progresses towards its slightly manic close, showcasing the harp’s hypnotic combination of depth and agility. “Soundboards And Sockets” is another busy melody with its heady concoction of frantic fervour. Ξ The album closes with the Gaelic song “Am Bruadar Ud a Chunnaic Mi,” sung over a mournful harmonium and yielding the most heartfelt and heartbreaking desolation; it’s endlessly captivating.